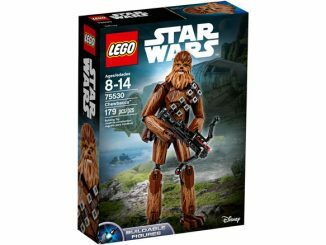 With the cold winter months here to stay, there is nothing warmer than Wookiee fur. 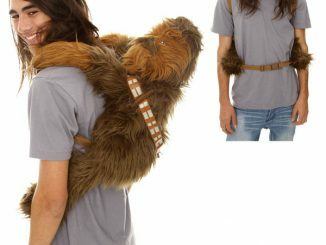 Sure you could lightsaber zip open your TaunTaun Sleeping Bag, but are you really going to walk the street with that? 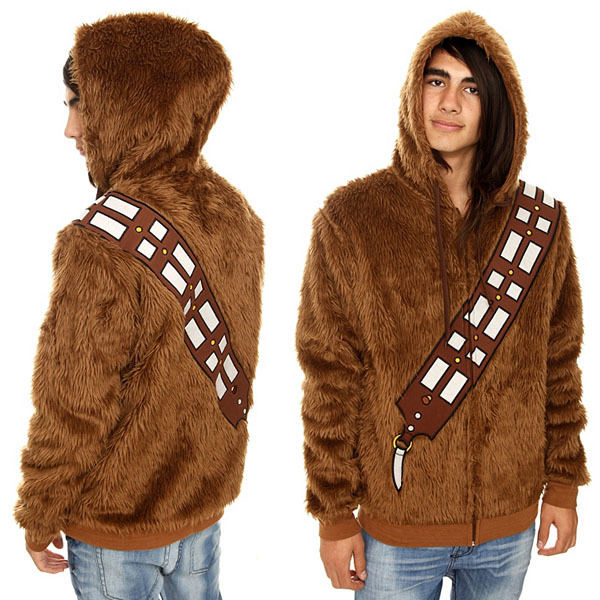 What you need is a set of Wookiee fur to call your own and you can do it with this Star Wars Chewbacca Zip Hoodie. 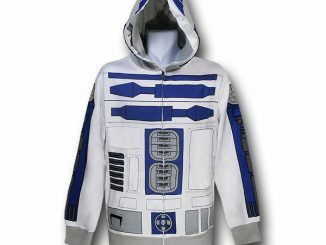 Honestly, no wookiees were hurt in the making of this zipper hoodie. 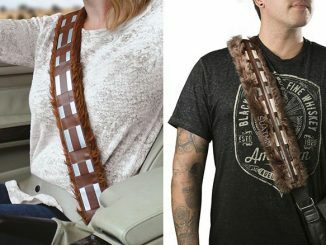 It looks real, but it is only faux wookiee fur and it comes with a cool embroidered ammunition sash. 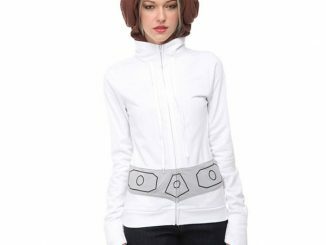 Made out of 100% polyester, you are sure to stay warm as you battle against the Dark Side of winter and the Hoth like cold. 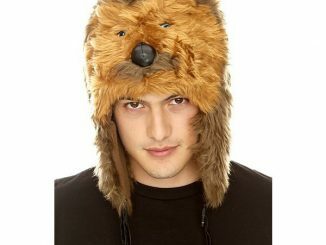 Throw on your Chewbacca Fur Hat and you will look almost as good as the real Chewie. You can purchase the Star Wars Chewbacca Zip Hoodie at Hot Topic in an assortment of sizes from $69.50. Also available at Stylinonline.com, 80sTees.com and at Superherostuff.com. UPDATE: Available at Entertainment Earth. 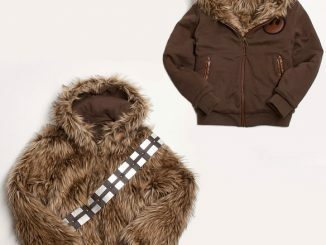 UPDATE November 2012: You can now purchase the Chewie Costume Hoodie at ThinkGeek.com. 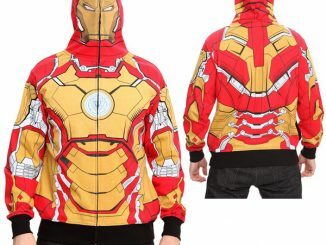 Very unique hoodie!! Definately, a new twist on an old favorite!! 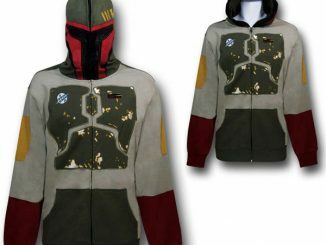 I WISH i could still find this hoodie! It’s amazing but sold out everywhere T_T. 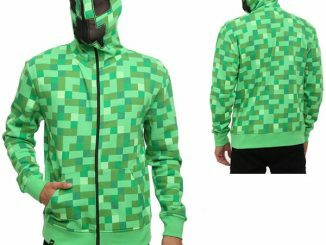 I searching the internet looking to see if anyone knows where to find maybe even a used one size XL preferably.